CIMPAX C-VAC TORNADO the ultimate combination of electrosurgery and removal of hazardous smoke in one instrument. 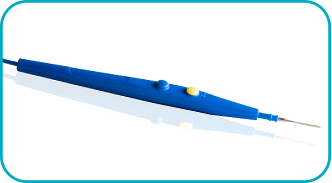 The pencil has a unique triangular design which combined with the silicone cover offers the surgeon perfect ergonomic and safety grip. 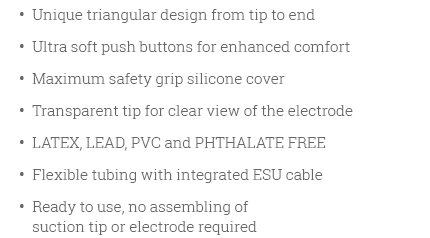 The ultra soft micro switch push buttons gives further comfort for the user due the exceptional tactile feedback. your health, your colleagues and patient’s health or the environment. 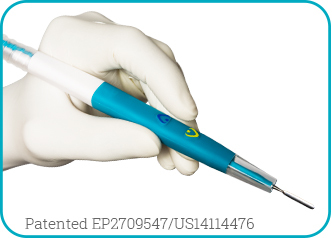 The CIMPAX Single Use Electrosurgical Pencil C-PEN is a high quality diathermy pencil. The electrode is fitted with a hexagonal connection, securing the electrode in the required position. 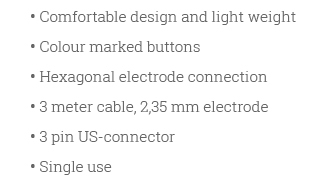 C-PEN can be used with any electrosurgical generator available.